Image from The Elder Scrolls V: Skyrim. Your Facebook feed is filling up right now with an alternate subset of video game fan, the one that isn’t too worried about the latest Call of Duty expansion pack and who seems to have nothing to talk about but something called “Skyrim”. Skyrim is the the fifth entry into the Elder Scrolls franchise by Bethesda Softworks, a Maryland-based developer that somehow always ducks criticism for introducing little innovation into their key titles. The world is wowed time and time again with Elder Scrolls (and, recently, Interplay Entertainment’s Fallout) titles with their open worlds and “deep” role-playing action, but perhaps the most excellent feature baked into every copy of one of their games is the reality distortion field that makes it a shoe-in for Game of the Year awards and sterling review scores. But the fact remains that Skyrim, like Elder Scrolls IV: Oblivion and the two Fallout titles (Fallout 3 and Fallout: New Vegas) before it, is just okay. The inflated scores are not solely the fault of reviewers, but more due to the industry-wide problem of grade inflation. Every latest-and-greatest game strives to represent the technical peak of the industry. With every passing year, more capability is juiced out of aging consoles and PC video cards to make games look better (which is really what “technical peak” means and always has) and provide a more immersive experience. There are a few problems with this metric. The first is that the graphics arms race is dead and always has been. The Crysis franchise is beating the pants off of any other in terms of visuals and it plays like a dying horse, whereas a couple of guys in their basement can create something as graphically basic as Super Meat Boy and still have one of the best games of 2010. The difference between Team Meat’s Super Meat Boy and Crysis/Skyrim is one attempted, and the others rehashed. 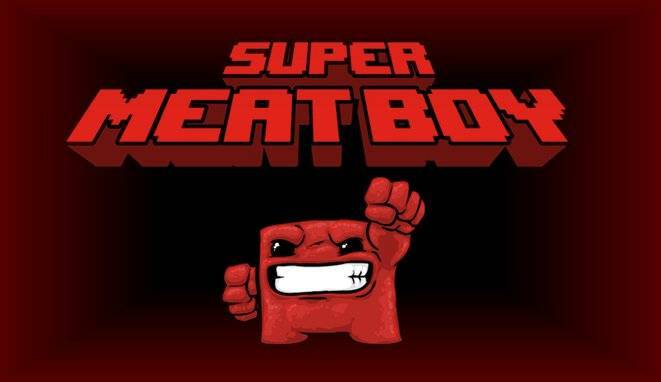 In Super Meat Boy or, for sake of argument, the nearly decade-old The Legend of Zelda: The Wind Waker, the games took mechanics that worked, shined them to a mirror finish and made every nook and cranny feel poured over and perfected. They’re not perfect, but the Skyrim school of thought is that enough capital investment into the visuals of a game will excuse the lack of imagination in gameplay and the lack of advancement in any mechanical respect. My high school drama teacher used to lose his mind during rehearsal when we peeked through the curtains at the action onstage, yelling that the light bleeding through would distract the audience and take them out of the moment. The same goes to the immersive aspect of a game. The Wind Waker was immersive because it felt like you really were a tiny boat on a giant ocean. Skyrim is big, but the bugs and lack of polish constantly break the fourth wall and take you right out of it. Bethesda could have got away with a world half as big if every inch of that world felt fleshed out and unique. Instead we get a potemkin country with no soul to fill its giant body. The Elder Scrolls V: Skyrim is by no means a bad game, but a glance at Metacritic or virtually any review is misleading. It’s a technical achievement, yes, but only insofar as a painting is more interesting than a bucket of paint. After first blush, Skyrim is what Oblivion was and Elder Scrolls III: Morrowind before it – another overstuffed Tolkien homage with slightly above average writing and, by present standards, greatly below average gameplay. The first-person perspective leaves you fumbling around smacking the air the first time somebody casts a fire spell at you and obscures your vision, and carries with it the same creaky combat that Oblivion had and The Elder Scrolls VI seems destined to have. That immersion they speak of boils down to the same fetch quests and cave spelunking we’ve been doing for decades albeit with a considerably longer way to to walk between each objective. The user interface for switching between the gigantic lists of spells and equipment takes you right out of the action and lets you heal and equip in relative peace, a throwback to an era of game design that treated real-time like a hindrance (a mechanic that even its most stalwart adherent, the Final Fantasy franchise, is distancing itself from). And don’t get me started on the light behind the curtain. 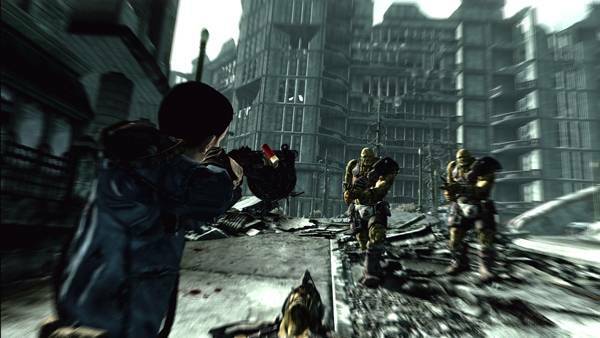 The bugs in each Bethesda game get a pass “because it’s a Bethesda game” and “the world is too big to debug properly”. That may be a technical truth, but in action you’re falling through solid ground, watching a horse fly through the air by walking and holding your breath each time the game does something basic (like saving) just in case it locks up and you have to load before some big, tough fight you just won. As an art form, games are even more product than a big Hollywood blockbuster, but that shouldn’t preclude a critical analysis. Ocarina of Time was lauded because of its clever design and, yes, technical innovations, but years down the road nobody is talking about how great the water graphics were on Zora’s River. They’re talking about how the hookshot is still a mechanic we see today, and how the Water Temple left them scratching their heads for a week. When a dragon swoops down from sky to kill you (randomly) in Skyrim, it’s a cool moment. But defeating that dragon and meeting any other challenge in the game isn’t just compulsive and dated, it represents the cardinal sin of anything attempting art, or fun – it’s not memorable. And that’s enough to take the perfect 10’s away. This entry was posted in Features, Games, the latest and tagged Elder Scrolls, reviews. Bookmark the permalink. Ha ha somebody is raging.